Subcontinent has countless examples where star kids have the luxury of using their parent’s influence as launchpads and even further exploiting such perks as means to further in the industry. There are however considerable cases where the star kids have proved their mettle using their own talents and hence proving their ability of being the “running horses” of the race. 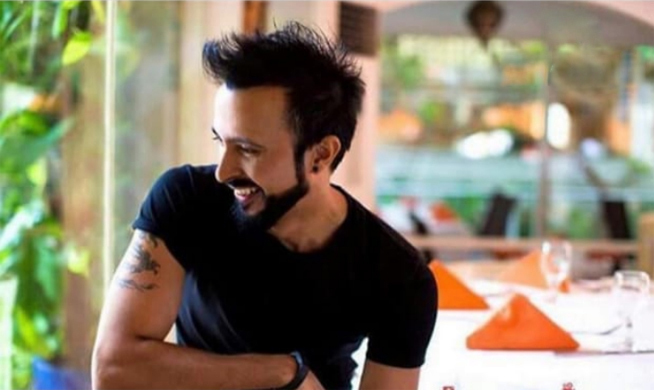 One such actor is Ali Kazmi with whom we had a tête-à-tête to apprise you of what the actor is up to as Pakistani cinema is steadily moving towards a sustainable revival. We found ourselves quite elated to found that Ali is appearing in four films of different genres in 2019. Ali informed us that the roles are quite diverse and include a stint in Karachi based thriller “Laal Kabootar” along with Mansha Pasha and Ahmad Ali, “Altered Skin” which is claimed to be Pakistan’s first dark zombie flick, a pivotal role in Saqib Malik’s “Baji” and a guest appearance in Imran Raza Kazmi’s yet untitled film. With “Laal Kabootar” expected to hit the screens earlier than all of his other projects Ali stated that his role is that of a journalist who is a caring and loving husband. Ali started his career in Pakistan from TV screen and he starred in various TVCs and drama projects but he then moved to Canada to establish himself as an actor in a completely stranger country. According to Ali, he left Pakistan because he felt he should be establishing his acting career using his own muscle power rather than opting for the easy track where star kids use their parent’s influence to grab acting jobs for themselves. “I started from the scratch in Canada. I inducted in a film school and then went through extensive workshops and auditions” said the Dobara Phir Se star. The hard work Ali put in his career in Canada wasn’t fruitless as he worked in various prominent TV series, TVC’s and worked with filmmakers like Deepa Mehta (Beeba Boys) and Angelina Jolie (Bread Winner). Ali further stated explaining his decision to move back to Pakistan. Moving between Pakistan and Canada, where his family is based, would indeed be a demanding task and how was he managing. Having actors like Ali attached to it, its undoubtedly clear that local cinema has a brighter future ahead. We wish all the best to Ali for his all upcoming projects in 2019.